Now’s the perfect time to get your hands on the best outerwear, and not just because it’s cold outside. Each of the styles we chose originally came to life solely out of need, but today, function and fashion work as a team—and a winning team at that. 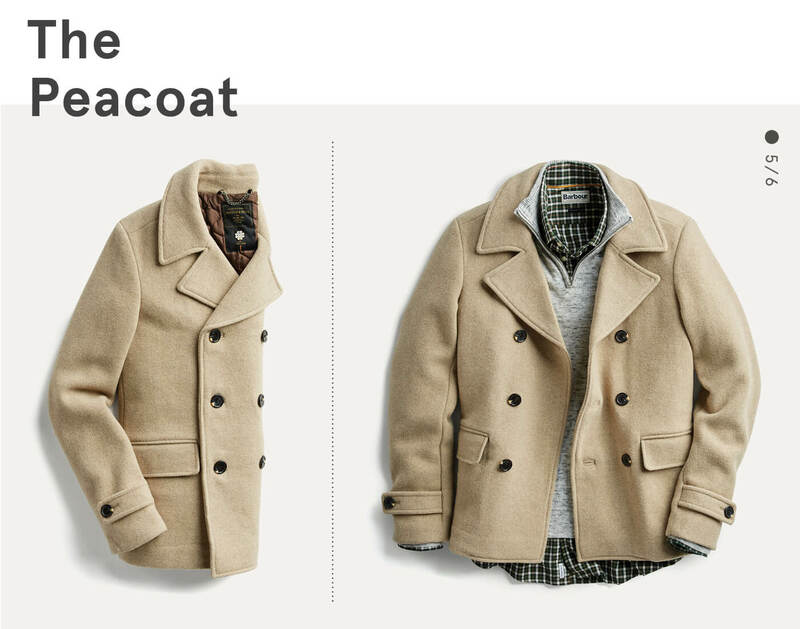 Get the rundown of each cold-weather win, from the history to layering tips, so you can build your ideal rotation of coats and jackets. 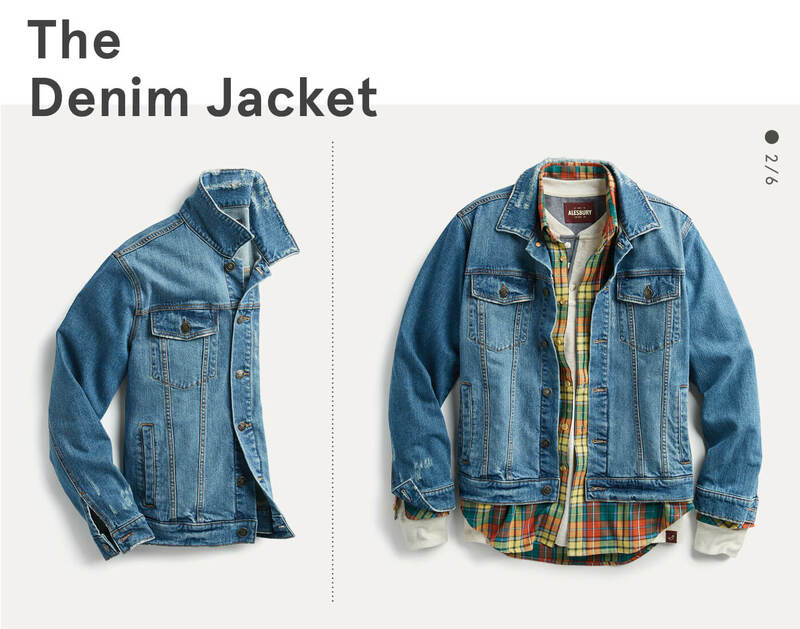 Get the backstory and how-to-wear tips on six outerwear champions below. In the 1940s, this innovative prototype kept fighter pilots covered as they zipped around the skies in open cockpits. Its military inspiration still runs deep in the endless options available and after its popular streetwear debut, shows no signs of slowing down. Style tip: Layer with heavy-weight shirts for winter and even though this makes a statement on its own, don’t be afraid to add pattern or stripes. It started off as a uniform for the working man in the early 1900s and, through the years, became an iconic staple. Everyone from 1950s movie stars to hip-hop artists has added one to their style rotation, sometimes in rebellion against authority or as a fashion statement. Style tip: Wear this with everything, period. Cold? Throw it over a long-sleeve t-shirt. Colder? Start piling shirts under it. Coldest? Put a heavy-duty coat over it. 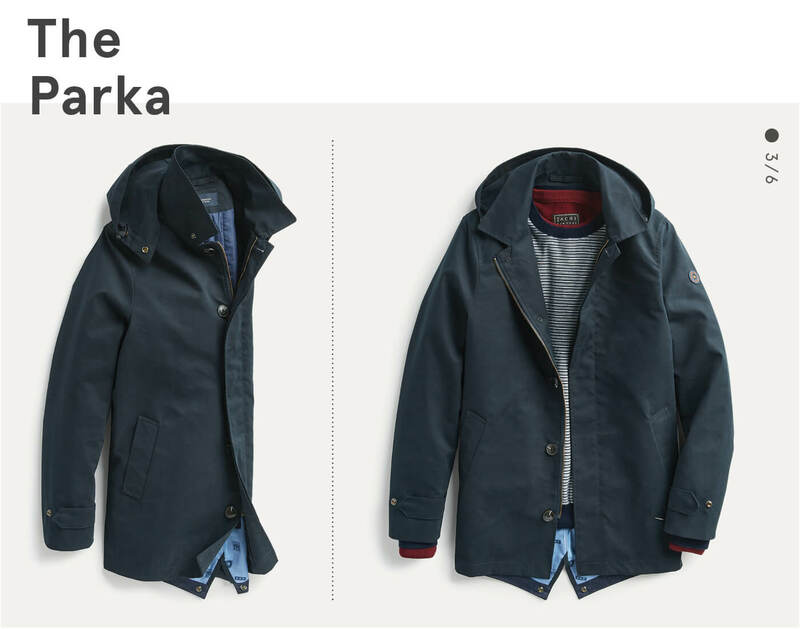 Created for the ultimate protection against arctic climates during hunting expeditions and travel, the parka was later adopted by military troops to withstand the elements during war. Its utilitarian details stuck: long length, slightly oversized fit, buttons up to the neck and a hood. Style tip: Grab and go—think of this as your superhero piece that adds a performance edge to your staples from t-shirts to suits. As the story goes, the first puffer was born out of necessity as a means to avoid hyperthermia in extreme weather. The signature quilting and stitching distribute the fibers to keep in heat so you’re well insulated. Style tip: With athleisure making its way into every closet, this is your chance to mix a puffer into a traditional outdoorsy look as well as your favorite 9 to 5. With a long history associated with the sea, the peacoat shielded sailors in the navy from the icy chill of being on deck. 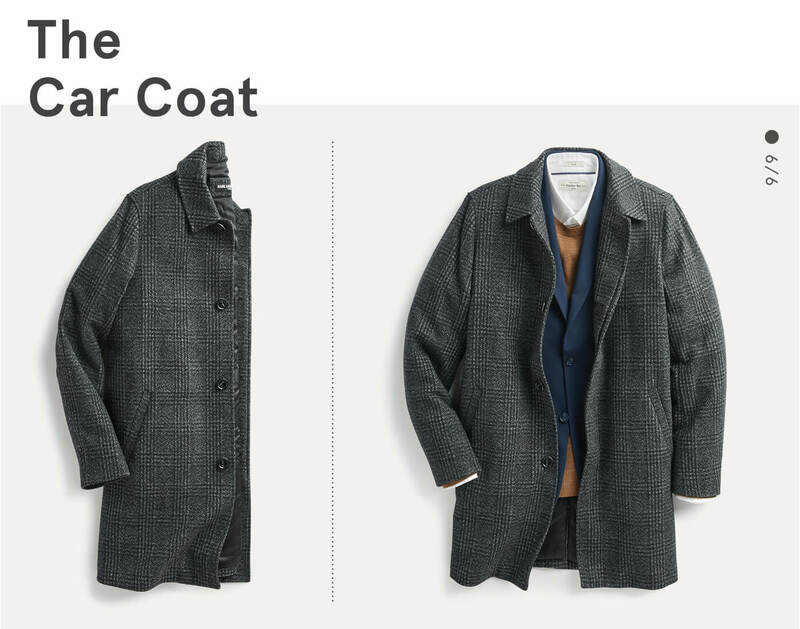 To this day, the classic style boasts legacy features: durable fabric, double-button closure, wide collar, notched lapel—and is just as warm as ever. Style tip: Instead of the traditional navy, go for a lighter shade and wear it with the same go-tos you normally would. Back in the day, people drove open-top cars in all sorts of weather, so you can imagine the need for something warm. The modern version still blocks the cold but is shorter in length, made with lighter materials and comes in a ton of colors and patterns. Style tip: Since its classic cut streamlines anything it tops, pair it with all your favorites—a blazer, hoodie or denim jacket. 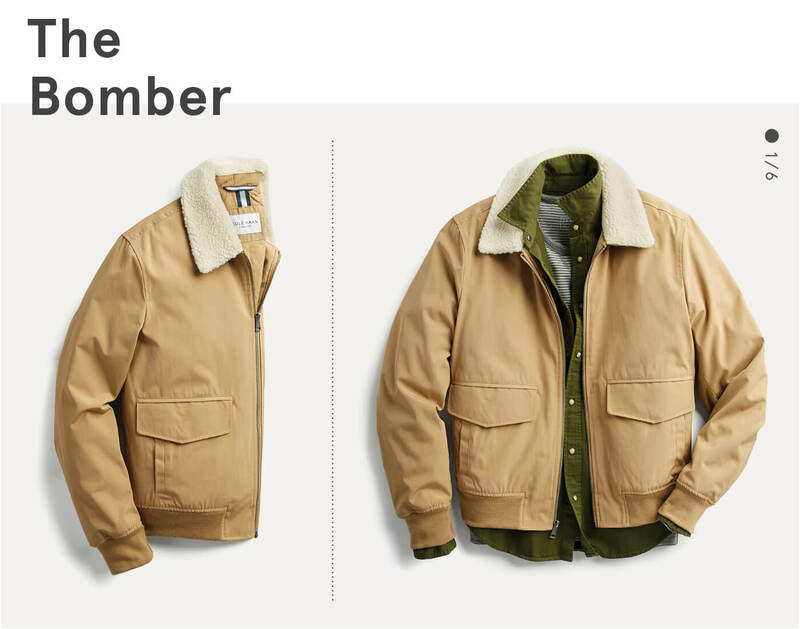 So now that you’ve gotten a bit of the history for each of the best men’s winter jackets spanning across lightweight denim to extreme-cold-ready puffers, you’re more than equipped to find what will work best for you. Ready to level-up your outerwear? 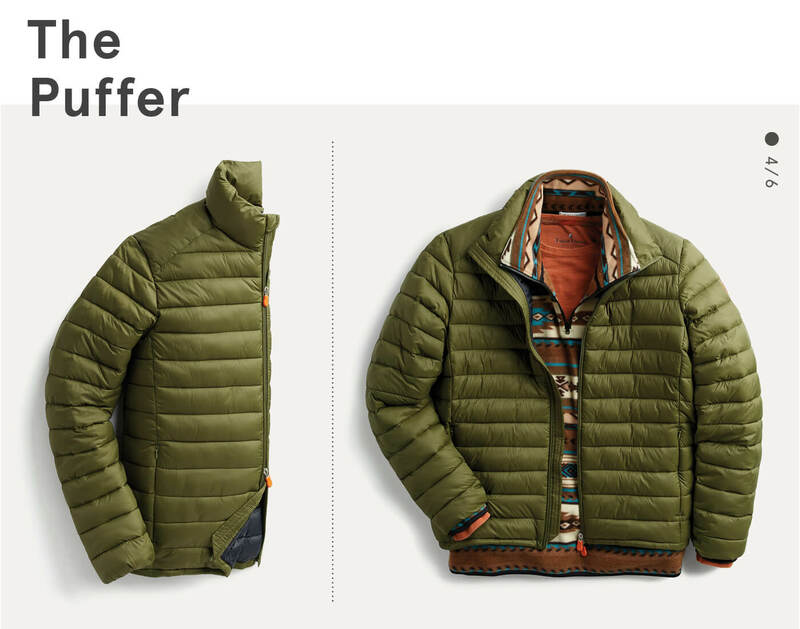 Ask your Stylist to get you in gear for winter.